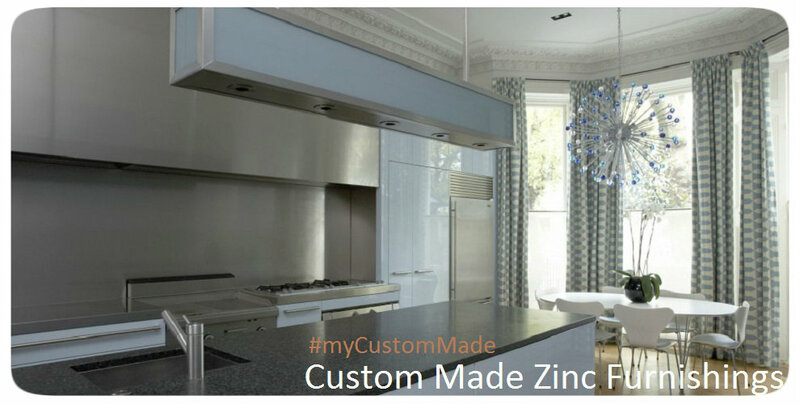 Click the button below to add the Zinc Range Hood "Arizona" to your wish list. Rustica zinc range hood manufactured of mixed metal. Range hood walls are covered with either hammered or smooth zinc and decorative copper metal straps. This nicely curved design is perfect for any style kitchen. You can install it in a traditional, rustic and ultra modern setting. It comes with an optional ventilation system consisting of 200 CFM electric motor fan, lamps and filters. Or we can customize it for your own equipment. If the second option is what you need, select Insert customized and using Rustica page Note form below the price specify brand and model the hood needs to be made ready for.